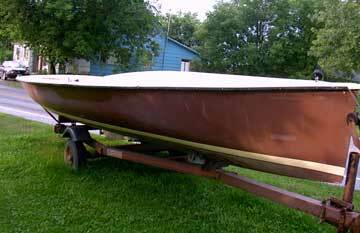 15 ft day sailer with trailer cream interior with brown exterior. Thanks for writing. 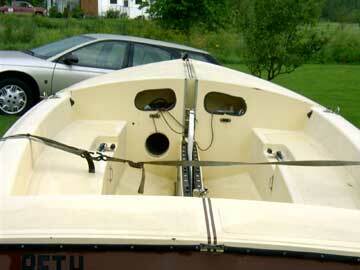 I did finally sell the boat. Thanks for your help. It was a local person but I believe they saw the ad on your site.